Capture your new neighbourhood from the sky! Why use a Real Estate Agent to Buy? Join the Home Finder System today! Why use a Real Estate Agent to Sell? Are you ready to make your move? Trust Martin to tell the story of your home. Get your Free Home Evaluation today! Want to invest in Ottawa's real estate market? Learn how to evaluate your options and maximize your ROI. Your facts, stats and maps to Ottawa's most attractive neighbourhoods and communities. Buying or Selling in the National Capital Region? Find out why you want Ottawa Realtor® Martin Elder on your side. Determine why you wish to sell your home. What do you gain from selling? It’s important to determine what you wish to achieve by selling your home. Are family needs growing? Is it a downsizing move? Is it relocation or an improvement in living conditions? Begin a three-step process. Start by writing the answer to the following questions. What is your time frame for selling your home? Your Dream. What would be the ideal situation once your property is sold? Or, How do you visualize your improved life after the sale? Write your answers for future reference. You can save money and time by working with a real estate professional, a REALTOR®, who can help focus your needs and set up an action plan. 3 -PROPERTY READINESS: Presentation or “Curb Appeal” is important! Read more! Some REALTORS® are qualified to provide valuable suggestions that can dramatically increase the value of your home. Sometimes we use a professional Staging Service. Unlike interior decorating which concentrates on making the owners feel more at home in their interior space, the objective of Staging is to increase home market value or price. In many cases Staging involves “depersonalizing” a home and it is always done with your approval. An accredited Home Stager will follow professional guidelines in preparing your home for sale. You always have a choice in what suggestions to implement. Representing you throughout the offer process, receiving, negotiating, transmitting and acceptance. Reviewing the written offer with you to make sure that you thoroughly understand what the buyer is offering and what he/she is asking in return. 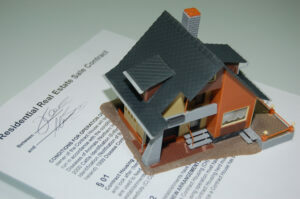 Clarifying – helping you understand the issues contained in the offer and how they affect you. Protecting your best interest throughout negotiations until well past the closing date! 7 – Sign, SELL and CELEBRATE! This is the first stage of the success! Locate a new home for you quickly! For clients who sell their home before locating a new one, don’t panic. Your REALTOR® can locate to a new residence and bridge the gap of uncertainty between your current residence and the one you are moving to. Discuss your options with The Elder Group. 8 – PRE-CLOSING PREPARATION: Approaching the Closing Day! Ready for the Big Day? A few days prior to closing you will want to contact your lawyer to make sure all paper work is in order. Additionally, you’ll make arrangements for your move. (If you need help, please ask about our Relocation Service.) A REALTOR® can be a big help during this time. Please fill out the following to get in touch with Martin Elder Real Estate Group. Once we receive your message, we'll follow up with you right away. MLS®, REALTOR®, and the associated logos are trademarks of The Canadian Real Estate Association. © 2019 Team Elder Home Sales.